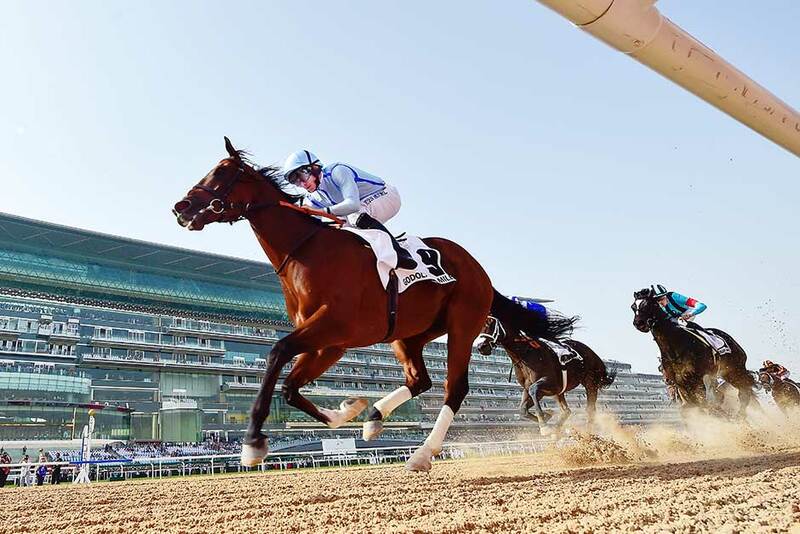 Dubai: Heavy Metal, who has been in imperious form all season, took the shortest route home to win the $1m Godolphin Mile (Group 1) Sponsored By Mohammad Bin Rashid Al Maktoum City — District One, the opening race on the $30 million Dubai World Cup meeting. For jockey Ryan Moore, widely recognised as the best in the business in the world, it was virtually an armchair ride to victory at Meydan Racecourse, as Heavy Metal looked a class apart from the rest of the field. 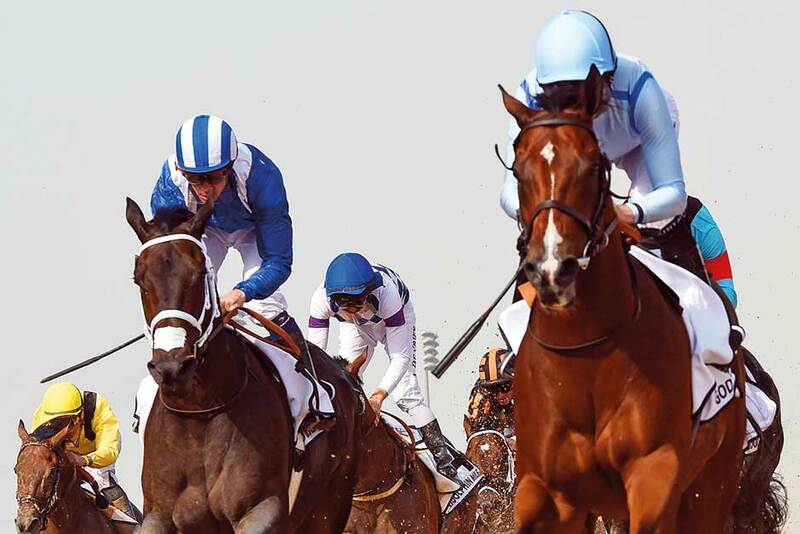 Muntazah, ridden by two-time British champion jockey Jim Crowley, was two lengths back in second and Musawaat, representing Bahraini trainer, Fawzi Nass, a further half lengths back in third. Heavy Metal, who was recording a fourth win of the season, is owned by Shaikh Hamdan Bin Mohammad Bin Rashid Al Maktoum, Crown Prince of Dubai. “I knew that if he was in the lead then there was nothing going to stop him from going all out,” Shaikh Hamdan told Gulf News. “He is a strong horse and he did exactly that. To restrain him wouldn’t have been advisable as he just keeps on going. “I see some improvement in him over the past few weeks,” Shaikh Hamdan added. “To have Ryan [Moore] as the jockey is a perfect combination as Ryan and Heavy Metal are both champions. And when they both come together this is what you get. Sandeep Jadhav, was saddling his first career runner, said he was over the moon to win a race at such a prestigious meeting. “My instruction to Ryan was simple … just let him go, don’t rein him in,” said Jadhav, who was struggling to contain his excitement. “This is so much like a dream come true and that too after 20 long years. “It’s been a long time coming, but now that it has come I feel out of this world. Ryan Moore, who got his evening off to a great start with a first Group 1 victory of the year, was full of praise for the winner. “He is a very experienced horse and he found himself in a familiar situation here,” said Moore. “I had to give him a little push and from then on it was him all the way. “This horse is what a horse should be. He tries very hard and that makes things easy for me. He is a high-class horse and it is difficult to keep him back. Moore and Heavy Metal broke perfectly from Gate 9 to secure a front-running position on the rails which allowed Moore to control the pace of the race. Heavy Metal set a solid tempo and as the field straightened for the run to the judge, he found another set of gears to pull clear. Muntazah gave chase but it was short-lived as the winner stayed on well. Musawaat ran a big race under the circumstances but was unable to hold the challenge on the front runners who were doing the better work as the line approached.